Blackboard Transact™ Security Management provides peace of mind for everyone. Through campus-wide video surveillance, access control, and mass notification capabilities, you and your security officers can create a more secure experience for your students. Status Solutions is the pioneering provider of situational awareness technologies with a mission to keep people informed by delivering tools for life safety assurance, security monitoring, environmental awareness and mass notification. Our customized software solutions ensure the right information reaches the right people automatically via various portals and dashboards for faster, more efficient communication. We help organizations better collect, process, interpret and deliver their data to read, see, hear and do therefore managing risk while transforming business operations. Because RIGHT NOW matters most. 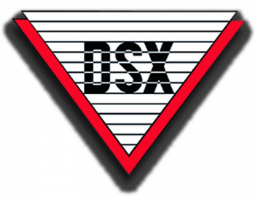 DSX Access Systems, Inc. designs and manufactures WinDSX integrated access control software and DSX hardware for all size systems. DSX products are sold worldwide through a network of factory-trained dealers, both domestic and foreign. DSX products include non-host dependent, intelligent, networkable controllers and the WinDSX total access control software. For over 60 years, Aiphone has solidified its position as one of the world’s leading providers of communication and intercom systems. The Aiphone brand has become synonymous with innovation and outstanding quality which has placed the company and its products at the forefront of the security and communication market. Aiphone remains committed to providing unmatched customer service by offering customized solutions tailored to support any intercom application. ARC provides facilities and construction teams with cloud-based technology solutions to manage the entire building lifecycle, on any device, online or offline. Mobile dashboards help teams operate buildings more productively and efficiently–day-to-day and during emergencies. ARC has over 90,000 customers and 190 offices worldwide. Educational institutions are responsible for creating positive learning environments. From kindergarten and high school to college and university, educational institutions require a proactive security solution that keeps students, staff, and faculty focused on greater academic achievement. Genetec creates a better academic environment by increasing situation intelligence, delivering secure efficient parking management and securing the entire campus. NAPCO Security Group offers LocDown™ security solutions for every educational building and door: from simple local lock-down from inside the classroom door or with teachers’ keyfobs; or campus wide, across a local or enterprise network, combining access control, alarms, video, threat-level and visitor-management. Our SAVI™, Security Access-Control Vulnerability Index™ is designed to help objectively evaluate a school’s vulnerability. For references & more visit www.savischool.com. You need fast, reliable video storage. NetApp video storage solutions are optimized for managing tens of petabytes of video data, enabling rapid access to and retrieval of content. Whether it’s a few hundred or a few thousand cameras, E-Series delivers consistent high performance while minimizing complexity, power, and space requirements. WatchGuard is the leading provider of mobile video solutions for law enforcement. Approximately one-third of all law enforcement agencies in the United States and Canada use our in-car and body-worn cameras along with evidence management software to improve trust with their communities, reduce agency liability and advance the judicial process. Alertus Technologies is your partner for all your mass notification and crisis communication needs. The Alertus Mass Notification System is flexible and powerful enough to handle anything from company announcements to active shooter warnings, reaching your entire organization when you need it the most. AMS.NET is an innovative technology solution provider delivering business outcomes to businesses, educators and government entities. Since 1988, AMS.NET has provided design, implementation and support services for network, data center, security and communication technologies that support an organization. AMS.NET delivers a School Safety and Campus Solution to provide a safe and enhanced learning environment. Integrated intelligent video surveillance, emergency notification, access control and communication platforms help schools stay safe! Antaira Technologies is a leading developer and manufacturer of high-quality industrial networking and communication solutions. Antaira’s products thrive in a wide variety of security applications including campus security, remote surveillance, access control, mobile surveillance, and fire alarm monitoring. Antaira’s rugged and robust designs are suitable for harsh environments including extreme temperatures. Started in 1992, Cyrun® is a leading provider of software solutions used by public safety agencies to control, analyze and report on data/information flowing into their organizations. Cyrun solutions are designed by experienced law enforcement professionals to increase efficiency and responsiveness to the needs of constituents. In addition to increasing personnel’s accountability, Cyrun’s Software also improves organizational memory for more informed business decisions. Alliance Solution for School Districts provides a complete and integrated Security Management system for school security. It enables a school or school district to handle day to day operations as well as major events as they occur. Alliance Solution for Higher Education can manage all public safety incidents as well as track personnel activities across campus. Alliance supports multi-campus environments too! It provides detailed reports and follows the normal UCR reporting rules to comply with the Jeanne Clery Statistics Act. Founded in 1997, IMRON Corporation is the leading provider of Security Management Software and Access Control solutions. Constantly striving to make changes to maintain its position at the forefront of technology and innovation, IMRON Corporation is committed to open architecture solutions. IMRON’s comprehensive software platforms offer revolutionary control of all physical security requirements. Fully scalable and customizable, IMRON solutions are THE non-proprietary “open” standard. Reflex Protect™ is a revolutionary non-lethal self-defense option for families anxious about having a gun readily available at home, nurses or others relying on wasp spray to defend against workplace violence, or teachers facing the terrifying potential for their schools to become next on the list of American tragedies. SAM Medical designs, develops and distributes life-saving products for the guardians, comforters and miracle workers confronting adversity around the world. We make our living in the hurt business, where living is the only return on investment that matters. SALTO solutions are in use in educational environments including universities, research institutes, student housing and more, where they provide security, access control and campus management. Building entrances, classrooms, libraries, laboratories, staff rooms, sports centers and more can be protected by access control that allows access to specific rooms for selected periods only, with doors auto locking at pre-specified times. And, they can incorporate features that enable classrooms and facilities to be quickly locked down during an emergency event. Solar Art Window Tinting & Graphics specializes in the installation of professional grade window films and custom printed graphics for commercial and residential use. Additional services include safety and security window film, anti-graffiti window film and full building wraps. We’ve been growing and adapting to the economy for the last 30 years, finding new ways for consumers to save with Green Technology energy saving products. Sony Video Security Systems is a global supplier of high quality and advanced engineering surveillance camera systems for protecting lives, buildings and assets. As a marketing and sales partner with Bosch Security Systems our extended portfolio includes video surveillance, access control, intrusion and fire detection, and communications systems that are used in a wide range of campus environments throughout the world. TOA is the acoustic expert and is always seeking the perfect sound. At TOA we have made it our mission to supply you not just with high-quality equipment but above all with first-class sound. Our sound systems make millions of peoples’ lives safer and more enjoyable. TyTek Medical has developed a range of PTENSYS® branded solutions to meet your emergency preparedness challenges head on. All our of products were designed for the military, but with civilians receiving military style injuries we have made them more widely available. Speak to us about your plans so that we can ensure you’re educated, empowered and equipped to save lives. Viakoo delivers performance, security and compliance management for Enterprise IoT Applications and Devices. Video cameras, access control systems, intercoms, and other IoT systems typically are managed piecemeal or manually. Viakoo’s SaaS offering automates the management of these heterogeneous systems to ensure they are working properly and are secure from end-to-end. Campus Safety (CS) magazine and CampusSafetyMagazine.com exclusively serve campus police chiefs, security directors, IT personnel, emergency managers and executive administrators involved in the public safety and security of major hospitals, schools, and universities in the United States. The magazine is issued eight times per year and is distributed to more than 18,000 campus safety and security professionals nationwide. Online, CampusSafetyMagazine.com attracts an average of over 94,000 users each month and is growing rapidly to serve the needs of the expanding campus safety market. CS is a product of the leading operator of business-to-business trade shows in the United States - Emerald Expositions. Emerald currently operates more than 55 trade shows, as well as numerous other face-to-face events. CSHQ is the one stop source for your entire team to access the online education and information you need TODAY! Learn from experts in campus emergency management, security, and law enforcement on a wide variety of critical issues impacting our schools, colleges, and hospitals. Whether you are a public safety official, security director, emergency manager, administrator or consultant, our growing library of Campus Safety education and resources will help you conduct more meaningful, low-cost, and frequent trainings for you and your organization. Clery Center empowers colleges and universities to create safer campuses. We connect campus safety professionals with 30 years of experience, unparalleled expertise, and in-depth training, resources, and strategies to understand and implement the Clery Act. We guide institutions to exemplify the spirit of the law with a proactive commitment to campus safety and educate campus communities to know how the law protects them. The goal of the Conference on Crimes Against Women is to provide practical instruction, using current information, the newest ideas and most successful intervention strategies, to those professionals responsible for combating the many and varied forms of crimes against women. The conference is conducted for the sole purpose of providing training to only those people employed by governmental or non-profit agencies in the fields of law enforcement, prosecution, social work, victim's advocacy, therapy, probation/parole, campus safety, and medicine who work directly with victims of crime. The 14th Annual Conference will take place from April 8-11, 2019 in Dallas, Texas. To learn more, visit www.ConferenceCAW.org. The Partner Alliance for Safer Schools is a non-profit organization that brings together expertise from the education, public safety and industry communities to support implementation of a tiered approach to securing and enhancing the safety of K-12 environments, based on local needs, proven safety and security practices and available resources. Michele Gay and Alissa Parker founded Safe and Sound Schools in 2013, following the tragic deaths of their children at Sandy Hook Elementary School. The non-profit organization delivers crisis-prevention, response, and recovery programs, tools, and resources, backed by national experts, to educate all members of the school community. Using best practice from the field of Student Violence Threat/Risk Assessment, we show you how to collect data and “connect the dots” – providing you with the tools necessary to prevent needless tragedy and violence. Also offered are comprehensive prevention and intervention strategies to assist school districts and professionals with the identification, tracking and intervention of negative influences. The Center for Mass Violence Response Studies leverages the National Police Foundation’s expertise and its unique position as an independent organization to advise federal, state, and local public safety officials regarding the prevention, response and recovery from mass violence events. The Center features research in five key areas: countering violence and extremism, averted school violence, critical incident reviews, first responder safety & wellness, and a state-by-state legislative review of school safety standards and legislation. The Center conducts objective policy-relevant research, critical incident reviews, and provides training and technical assistance to inform strategic thinking, expand knowledge, and advance public safety policies and practices.